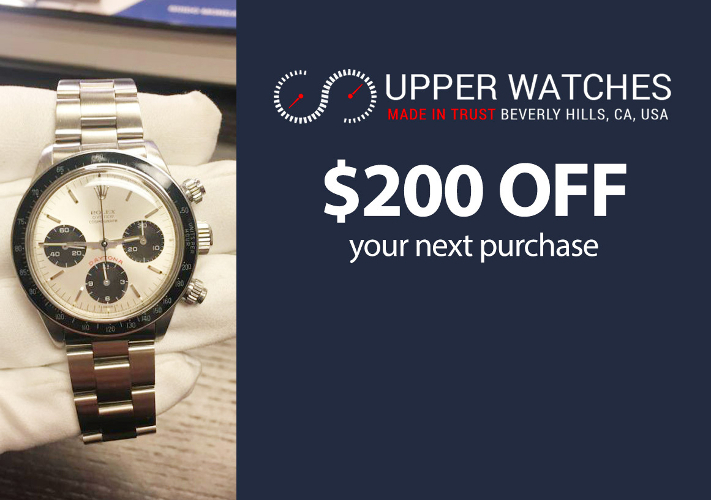 Welcome to Upper Watches – Where you can sell your watch at full market value. We also offer the consignment solution. Fill out the form below and we’ll get back to you as soon as possible. Just complete the form on your left and a team member will contact you. We will send you a free fully insured FedEx label and will explain to you how to pack your watch.